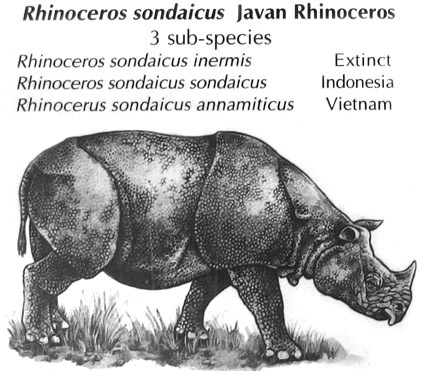 Although the park was well known for its small population of Javan rhinoceros, which had been recorded by automatic cameras in the Cat Loc (northern) segment of the park, sadly these are now almost certainly extinct. Gibbons, including the golden (= yellow) cheeked gibbons (N. gabriellae) - article and black-crested gibbons (Nomascus concolor). 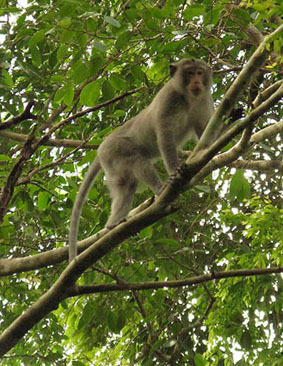 Dao Tien island in the Dong Nai River has become the site of an important new ape rehabilitation centre. This is one of the few locations where douc Langurs are still recorded. 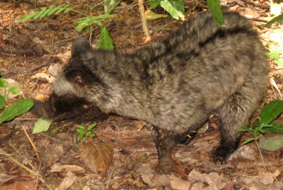 The best way to conserve many of these species is to maintain a health forest eco-system including wild fruits for food. 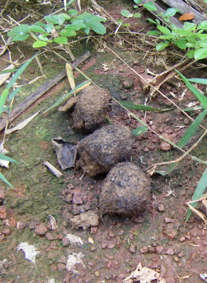 Asian elephant: are most commonly encountered in SW areas where they migrate to/from the adjacent Dong Nai Culture and Nature Reserve. 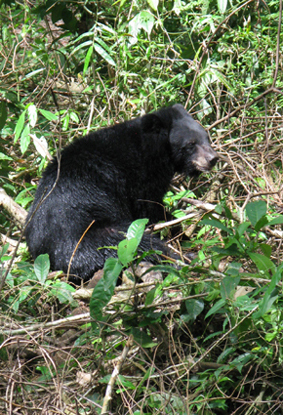 Sun bears are found in the Park: claw-marks on trees can be found on a number of trees (especially where they have been searching for honey). Asian black bears (right) are rehabilitated near the Park HQ, but there is doubt concerning their original status in the park itself. 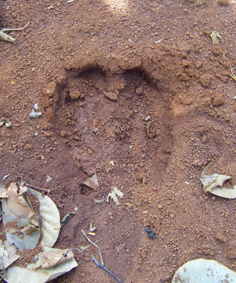 Gaur (below), the largest species of wild cattle, may be seen - nowadays usually in the south of the park: most commonly by encountering footprints. Tiger and leopards have been recorded, but there have been no recent sightings, although clouded leopards may still be found. 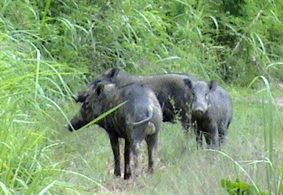 There are also records of kouprey, banteng and wild water buffalo in the reserve (but the status of these is also very dubious).